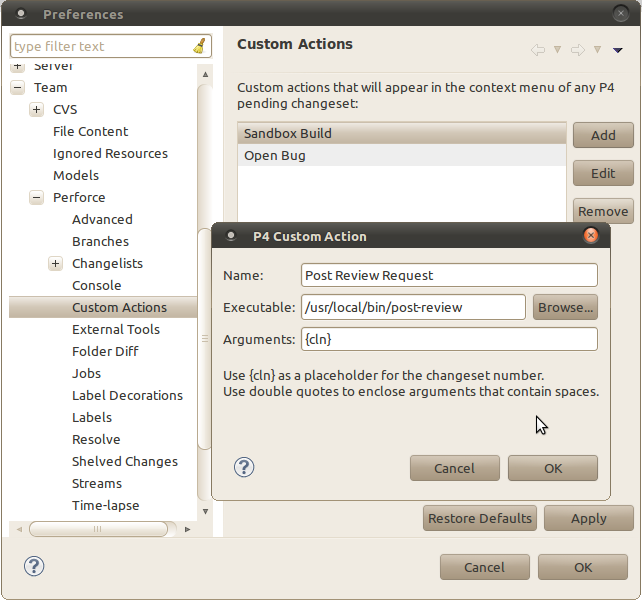 p4actions is Eclipse plug-in that adds custom actions to pending Perforce changelists. You can execute any script or command from the context menu of the changelist without leaving the IDE. The output of the executed action is displayed in the Console view. By adding the following code below to your website you will be able to add an install button for p4actions.